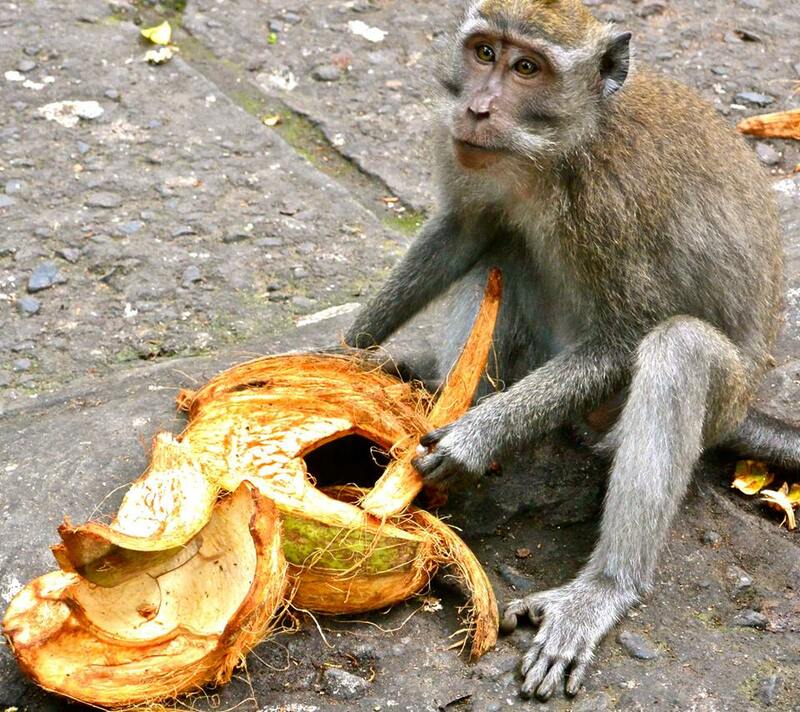 We hired a driver to drive us around Bali and its nearby towns. I recommend this rather than getting a taxi, because with a driver you can easily ask to stop at stores and tourist spots. Plus, if you are traveling with friends, the fare will be a lot cheaper. 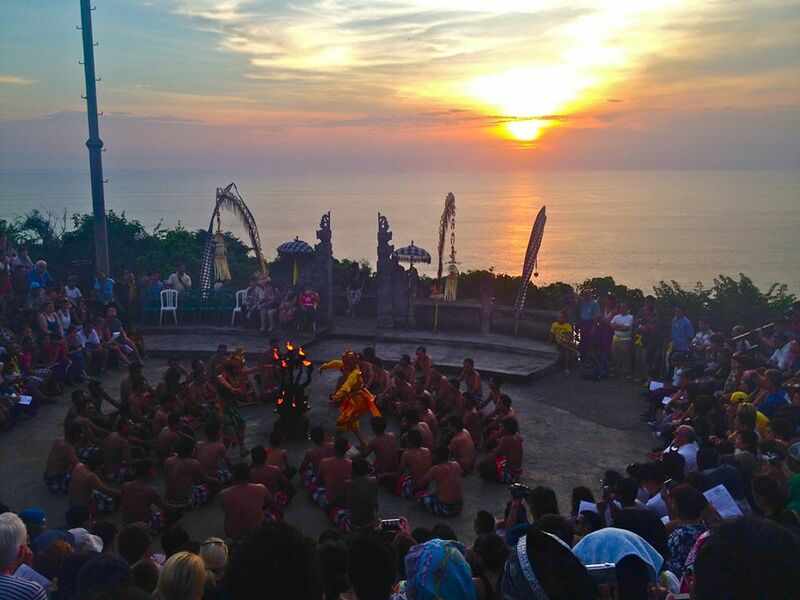 Uluwatu is where you can watch a traditional Balinese cultural dance. You’ll know how popular the performance is when you see a lot of parked tourist buses. It is a few minutes’ walk from the parking area to the stage. When you get there, you will see a semi-circle sitting area. The venue of this cultural show is very dramatic. It is located on the southern tip of the island with a perfect view of the sunset. So, if you arrive early, make sure you have lots of water and sun protection because the sun will be right in front of you. The play, which is about two princes and a mischievous monkey, is based on the hindu god, Ramayana. The performance starts. A group of bare-chested men, sitting in a circle, chants “chak-a…chak-a….chak-a…” over and over. It is somewhat hypnotic and you might catch yourself chanting with them. Suntan, entertainment, cultural immersion and hypnosis all in one afternoon. 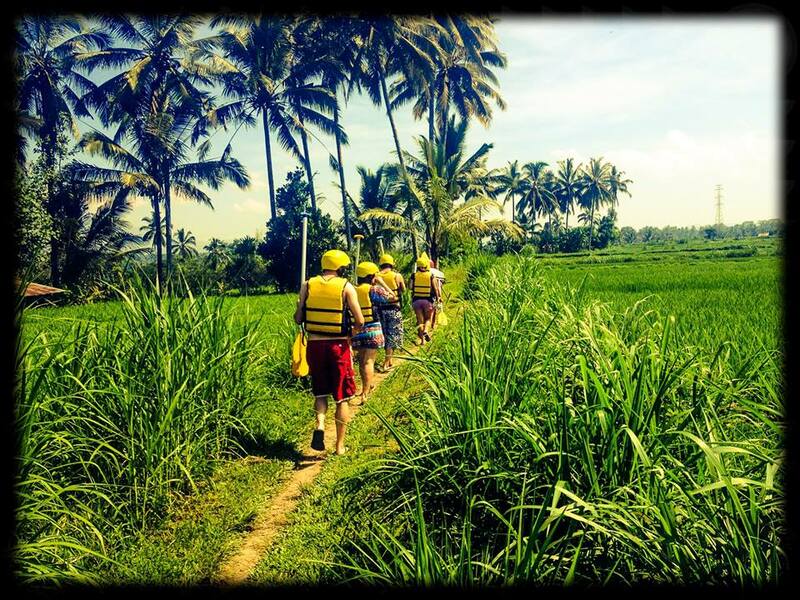 Our driver drove us around and into a town called Ubud. It was about 45-60 minute drive from Bali, Seminyak area. It was raining when we got there, so we weren’t able to get a lot of pictures of the rice paddies. 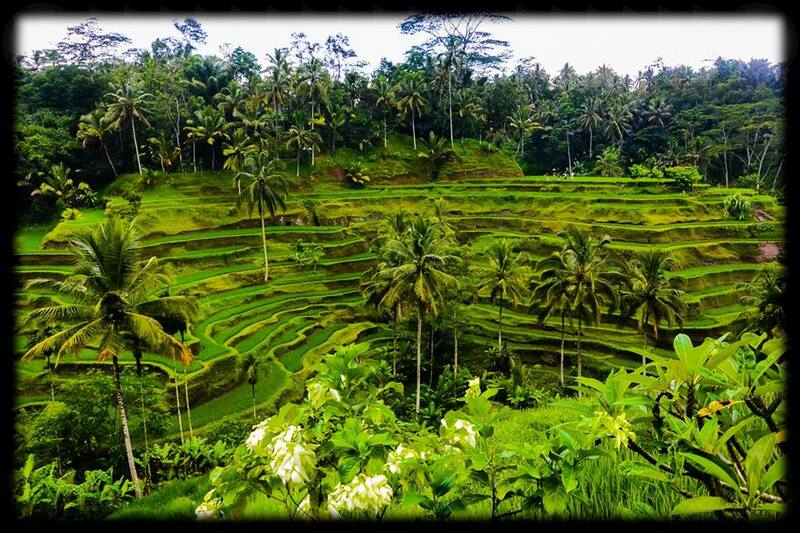 I grew up in the Philippines and we have the famous “Banaue Rice Terraces” which I have yet to see. So when I found out they have one in Ubud, I suggested a quick visit. Fortunately, because of the high roadside location, we had the opportunity to get a great view of the paddies. Souvenir stores are located a few meters down the roadside and they sell various kinds of artwork and souvenirs for tourists. It is definitely a place to visit if you are in the area to observe how the water irrigation system works and to just take in the beauty made by the farmers’ hard work in trying to earn a living. The temple has a beautiful front garden which attracts and welcomes all tourist. 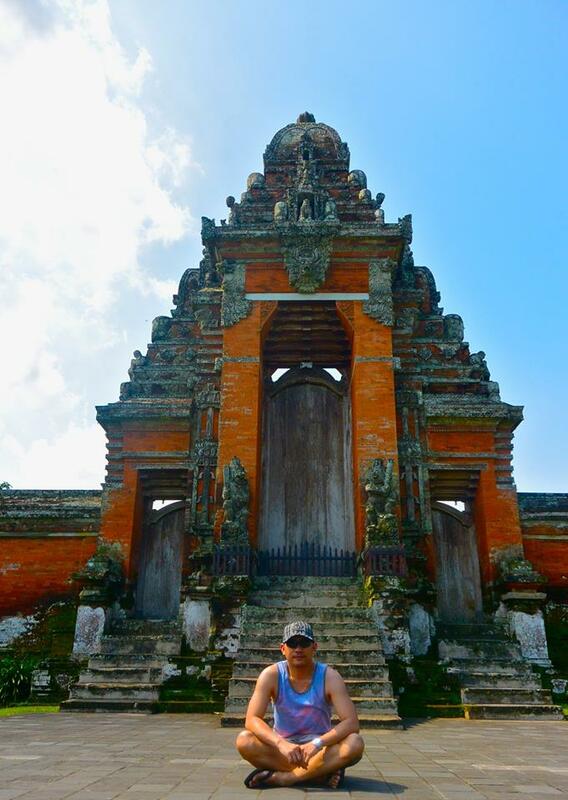 As we all know, Indonesia houses a lot of amazing and sacred temples. 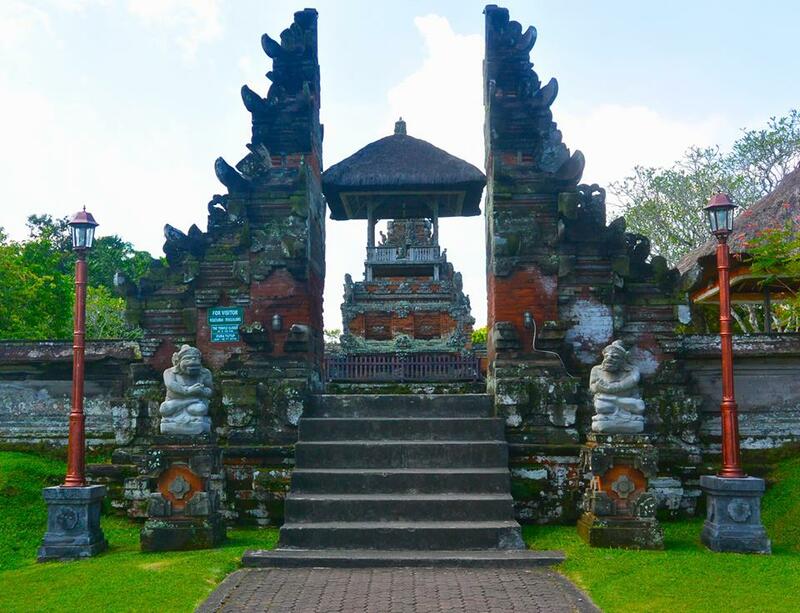 The Taman Ayun Temple is one of them and was built during the Mengwi dynasty. 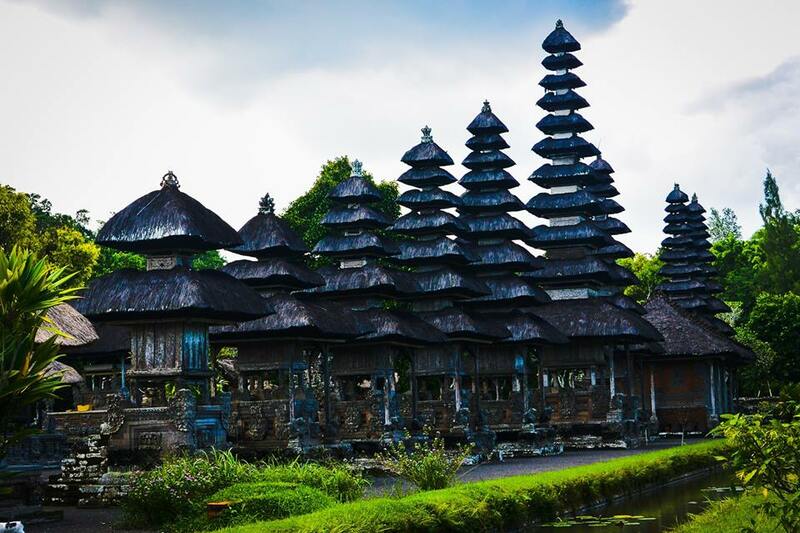 The temple boasts multi-layered roofs and is a magnificent presentation of Balinese architecture. There are areas for meditation, rest spots under the trees, and a lot of picturesque views. 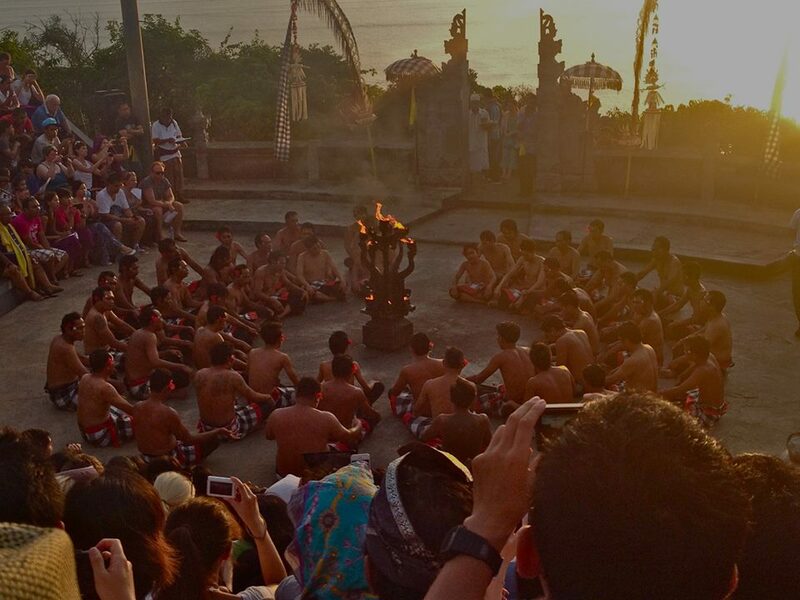 This will keep you busy learning the Indonesian culture and history. 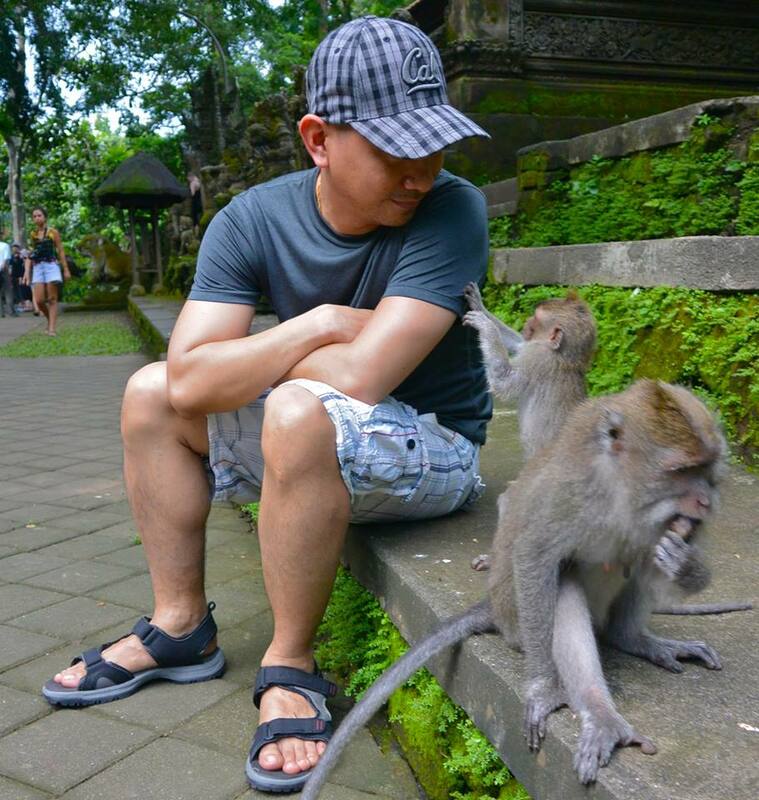 I was excited to visit the sacred Monkey forest in Ubud. Once you get to the entrance, you will see a lot of banana vendors so you can feed the monkeys as they roam around freely. Avoid bringing handbags, shiny items and backpacks because these lovely animals can be aggressive at times and biting incidents have been reported. I personally think they are adorable. Most monkeys only approach you if you have a banana or other food in hand. Sometimes, though, you get lucky…like me. This young one got curious and started playing with me..or at least that’s what I thought. Maybe I looked like food to him. 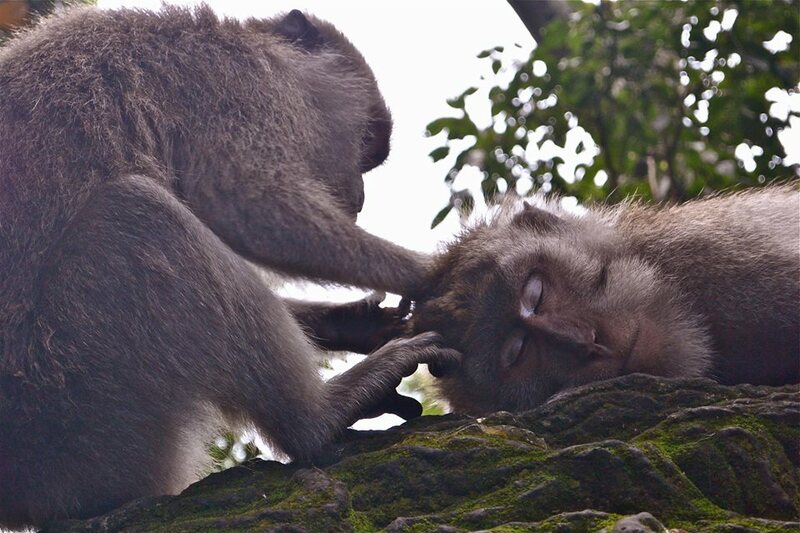 The Monkey forest is sacred to the local community, so we have to be cognizant enough to respect the place, the temples and the animals. Keeping all this in mind, I had a great time observing the interaction between people and monkeys and this was an experience that I will definitely cherish. Do you remember that particular scene in the movie, Eat. Pray Love., where Julia Roberts was walking along the shore of a beautiful beach? 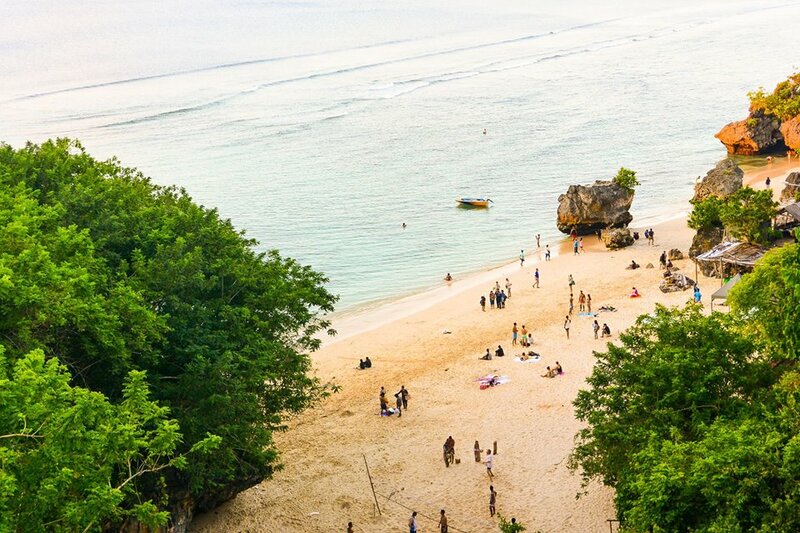 That was Padang Padang Beach. It was a hot day, so a quick stop and a dip in the water was much appreciated…without the Julia Roberts drama or outfit.. The Ayung River is the longest river on the Indonesian island of Bali. And what is the best way to explore it? 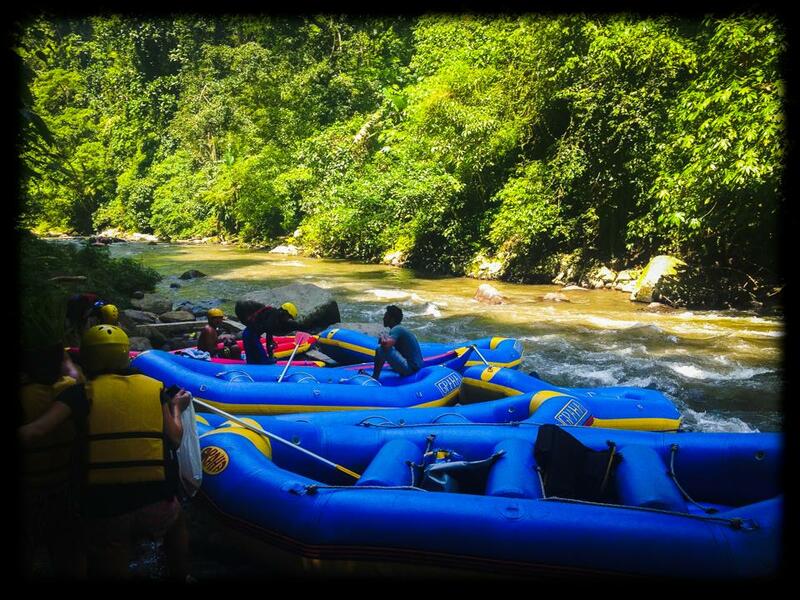 River rafting! The rapids were probably level 1-2, definitely a fun way to escape the hot temperature. 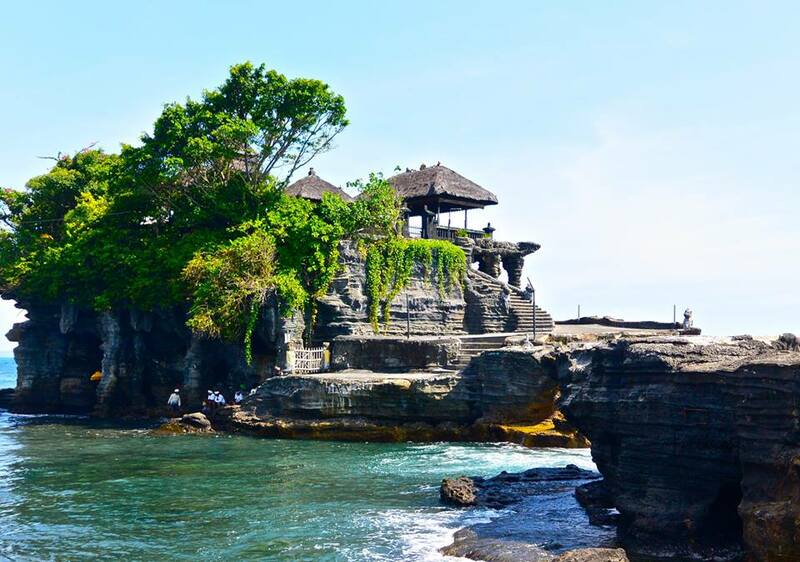 We also visited the Tanah Lot Temple, which was about 40-45 minutes’ drive northwest from where we were staying in Seminyak. The area was very commercialized, had a lot of vendors and we had to pay a fee to get in. Once inside, we were greeted by more vendors and souvenir shops on both sides of the street. They even had a restaurant especially for tourists. 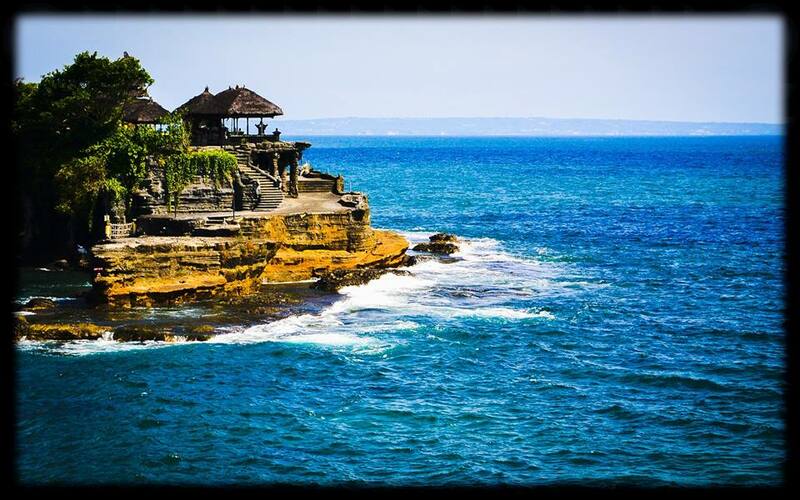 Tanah Lot is a rock formation. A temple was built on top to honor the sea god, thus the name. It was believed that there were venomous sea snakes that swim around the rocks that served to protect any intruders. The location was indeed beautiful with the temple facing the ocean. It is a popular tourist destination that will satisfy amateur and professional photographers alike. 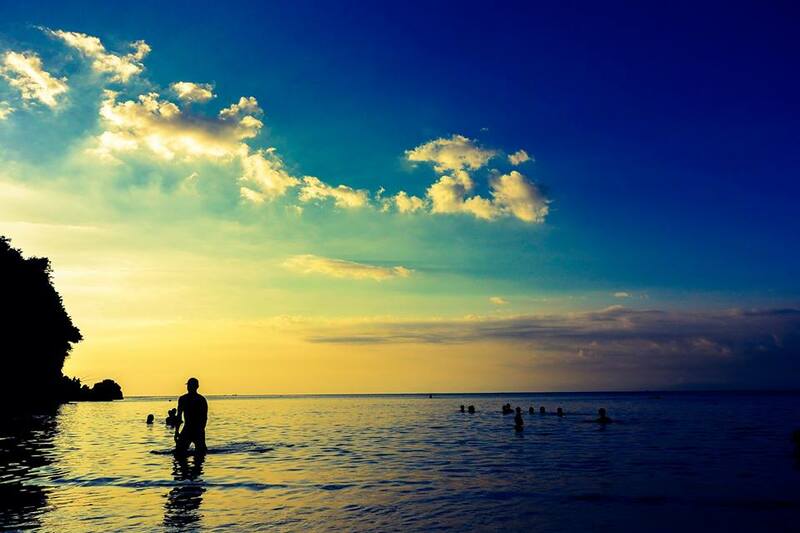 At the end of the day, we always go to our favorite beach bar and enjoy the sunset, the atmosphere and live music. Love that you are such an explorer, and take the time and money to explore. There is so much to see before we turn to dust. The world is our oyster!